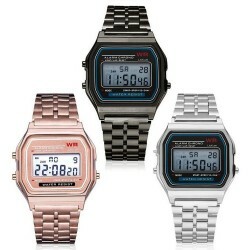 Watches There are 28 products. 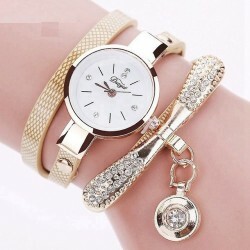 Starry dial women's watch. Japan time module. Dial material: steel. Band material: leather. Water resistance: 3bar. Dial diameter: 33mm. Case thickness: 10mm. Band length: 236mm. Band width: 16mm. Weight: ~ 32g. Please select a type. 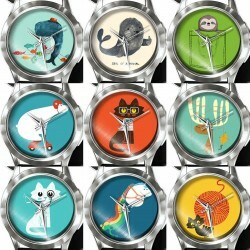 Owl design, women's watch. Band material: leather. Dial material: alloy. Movement: quartz. Dial diameter: 40mm. Dial thickness: 9mm. Band Length: 24cm. Strap width: 20mm. Weight: 65g. Please select a color. 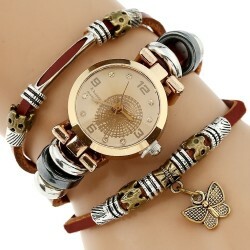 Butterfly design, women's watch. Waterproof: not for swimming. Band material: PU leather. Dial window material: glass Dial material: stainless steel. Movement: quartz. Dial diameter: ~ 3.5cm/1.38" Dial thickness: ~ 0.8cm/0.32" Band width: 1.5cm/0.59" Band length: ~ 24cm/9.45" Weight: ~ 27g. Please select a color. 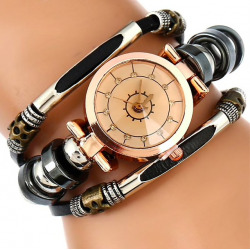 Triple bracelet, women's watch. Strap material: genuine leather. Case material: metal Movement: quartz. Waterproof: no Strap width: ~ 1.3cm. Strap length:~ 20cm. Clock size: ~ 2.8cm. Weight: ~ 40g. Please select a type. 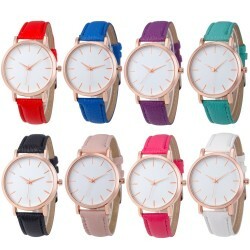 Luminous LED women's watch. Band Material: silicone. Case Material: acrylic. Movement: quartz. No waterproof. Band Width: 2cm. Band Length: 25cm. Dial Diameter: 4.6mm. Thickness: 15mm. Please select a color. 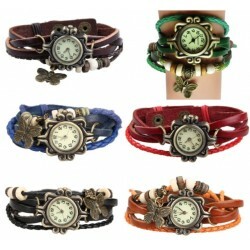 Fashion women's wrist watch. Dial window material: glass. Case material: alloy. Dial material: stainless steel. Movement: quartz. Dial display: analog. Band material: PU leather. Size case: 35 * 35 * 7mm. Size band : 410 * 20mm. Please select a type. 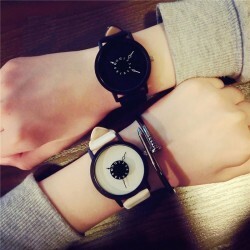 Women's round watch. Movement: quartz. Materials: PU leather + alloy. Case size: 35.5 * 35.5mm. Case thickness: 7mm. Band width: 19mm. Band length: 22cm. Weight: 30g Please select a color. 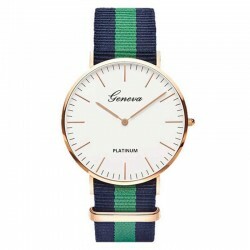 Women's, elegant watch. Band material: PU leather. Case material: metal. Movement: quartz. Display: analog. 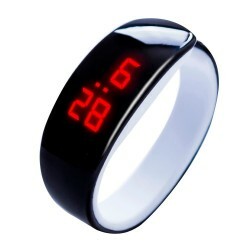 Case diameter: ~ 4cm/1.57'' Band length: ~ 23cm/9.06'' Band width: ~ 2cm/0.79'' Please select a color. 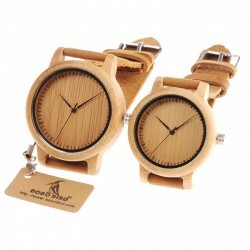 Women's casual watch. Band material: silicone. Case material: alloy. Movement: quartz. Band width: 1.8cm Band length: ~ 24cm. Case diameter: ~ 40mm. Case thickness: ~ 10mm. Please select a color. Band material: synthetic leather. Case material: alloy. Movement: quartz. Dial shape: round Dial size: ~2.5 * 0.7cm. Total length: ~21.5cm. Band width: ~1.2cm.